We are carrying out works to the hedge located next to the footpath along the eastern boundary of Victory Field. 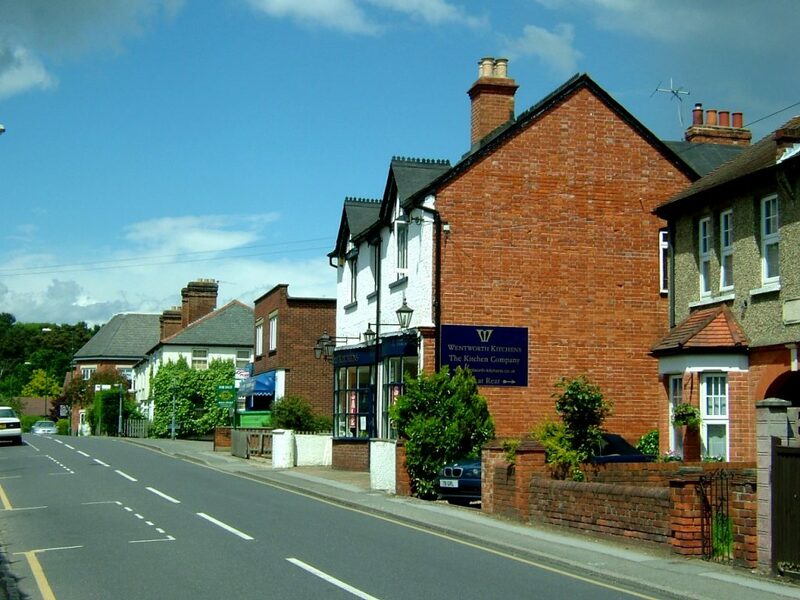 The aim is to reduce the risk of the hedge collapsing and to encourage both height growth and the development of a vigorous hedge at lower levels. Arrangements are in place for the Parish Annual Assembly. The Assembly is your chance to find out more about what is going on in the local area and is an opportunity for you to ask Borough and Parish Councillors questions or to raise matters of concern. 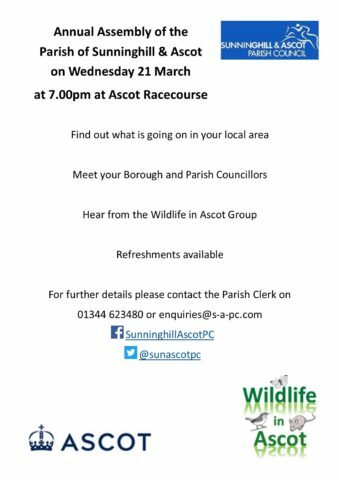 The Wildlife in Ascot Group will be presenting their work and the Parish Council will be giving feedback on the results of the recent Parish Plan Questionnaire. 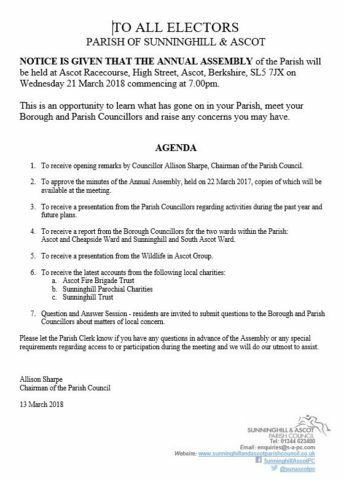 The Assembly is being held at Ascot Racecourse on Wednesday 21 March and starts at 7.00pm. Refreshments will follow. All residents are welcome to attend. 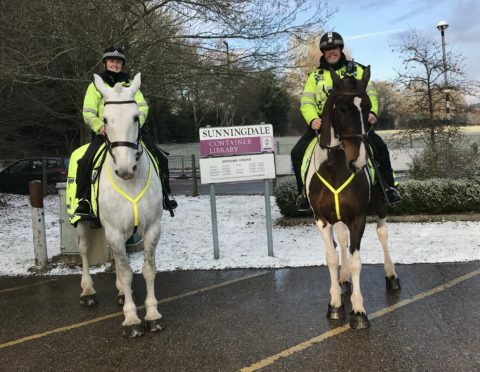 Please read our latest news here. 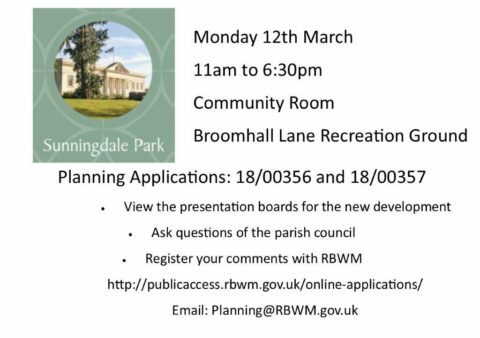 A public exhibition is being held regarding the proposed developments at Sunningdale Park on Monday 5 March, from 4.00pm to 7.00pm.